The JP254SW is an ideal piccolo trumpet for an advanced player after a reliable and flexible instrument for semi-regular use. This instrument is at home in orchestras, chamber ensembles and solo settings. Designed in collaboration with Smith-Watkins. 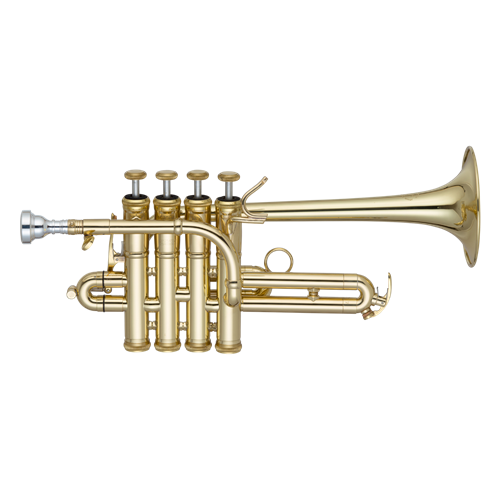 The JP254SW comes with 4 different leadpipes (Trumpet and Cornet shanks in Bb and A) changing the sound of the instrument to allow for customization depending on the occasion. The specially designed main leadpipe and monel piston valves offer improved playability and powerful sound, while the trigger on the 1st valve slide offers a tuning flexibility on some of the more difficult lower notes.